Need A Locksmith In Fareham?? If you are reading this page, then you obviously take security seriously. Add our telephone number to your mobile phone now under 'L' for Locksmith as you never know when you will need it! 07737 915984. You might not need a locksmith today but youll be glad you saved my number when you do! If a key is not turning smoothly in the lock and you are putting in too much effort then something is wrong. Call us to check this out for you before it's too late. 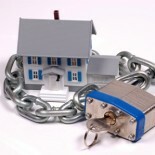 Fixing or adjusting a lock early is much cheaper than replacing a damaged lock beyond repair. Also you don't want to be locked out in the rain. If you have a wooden front door with a 5-lever mortice deadlock, use it! Don't just rely on your Yale lock. 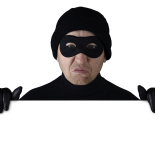 First of all your door is not as secure as it should be, which makes it easier for a burglar to break in. Secondly, in the event of a burglary, your insurance company may not pay out if the 5-lever British Standard insurance approved lock you claimed you had was not used. If in doubt, consult a locksmith.